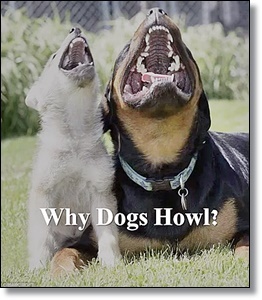 Wolf howl in the wild is their natural way of vocal communication. They howl to send a message to their separated pack members to inform about their presence and current location. This method helps them to find each other. And the dogs had inherited this behavior from their ancestors. Though this way of communication can be the one reason, but there are a couple of other reasons also when a dog can trigger howl.